If I had a nickel for every fuzz out there, I would probably use that money to buy myself another fuzz and there is a good chance it would be this one. 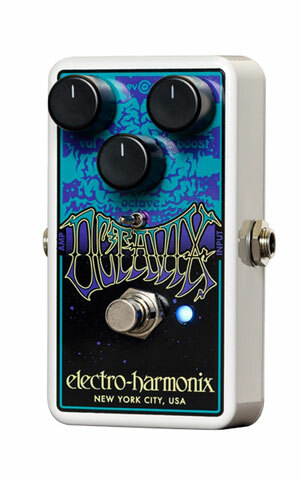 To start, it’s based off the Octavia (sometimes called Octavio) fuzz that Hendrix used to rip on. The fuzz tone, aka Boost, isn’t going to blow you to the back of the room, but it’s gonna get you pretty gnarly sounding. Pair that up with the octave feature, and now you’re cooking. Unlike other Octavia remakes, the Octavix lets you control how much upper octave you want to mix in. Along with that handy little feature, Electro-Harmonix has also added a voltage switch. Click it over from the 9-volt setting to 24 volts and you can tighten things up and pick up some of the sag, which leaves more room to let the octave tone shine through. The response is very dynamic and articulate, so you can give it the soft treatment to kick in a little dirt, or white-knuckle on it and get it screamin’. It can handle chords without weird glitches or artifacts, but it really shines is when you ‘re burning down the neck with some single note riffs. It’s perfect for ripping out some of those psychedelic garage rock bangers that all the kids are tweeting about these days. I bet King Tuff himself is online adding one to his cart right now. P.S. it’s true bypass so you don’t have to worry about some tone-guru purist giving you grief. Reverend has been knockin’ out homeruns left and right and the return of their their stripped-down Sensei Jr. is a Mark-McGuire-zinger. We got a chance to pluck around on the big boy Sensei HB FM in the zZounds office a few months ago — it’s a killer axe and this new stripped-down version is built for speed. 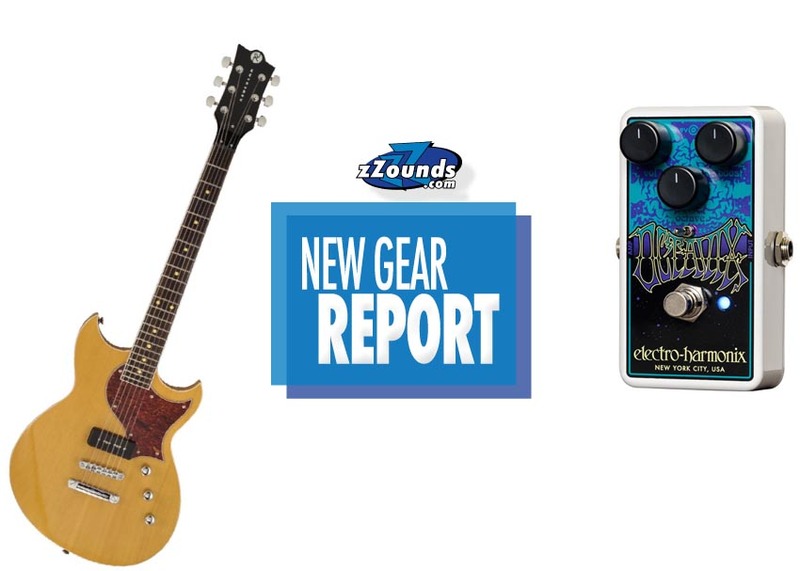 This is basically Reverend’s version of the Les Paul Junior with a little SG/double cutaway flavor thrown in. All the same Sensei specs are there: korina body and neck, graphite nut, rosewood fretboard, 24 3/4″ scale, locking tuners and stopbar tailpiece — but instead of two Special-H pickups you get a P-90 in the bridge. While they may have knocked it down to only one pickup, you still get the volume, tone and bass contour controls. After fiddling around with those, you can roll from the twangy tele-tone of your dad’s country bar band, or kick it up to the classic P-90 sound to rip through your band’s cover of “Longview.” The Sensei Jr. has a wider Les Paul-like neck, with medium jumbo frets, so you’re not gonna wanna run sweeps on it, but it’s thin enough to still feel comfortable. You can also grab this guy in some new finishes. I am a big fan of how the natural finish looks on korina, but I wouldn’t turn down the tobacco burst version, either.